Mgahinga national park is another home to the famous gorillas. Predominantly thrilling are the Virunga Volcanoes, which offers three extinct volcanoes (mt.Sabyinyo 3669m, mt. Gahinga 3474m ‘” and mt. Muhavura 4127m). 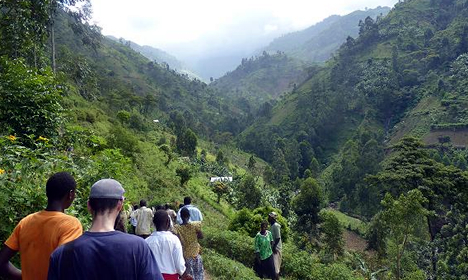 At mt.Sabyinyo, a hike up to the top of the 3 peaks guarantees you to be in Rwanda, Democratic Republic of Congo and Uganda at the same time.